LS Lowry RA, 'Station Approach', 1962. Oil on canvas. Laurence Stephen Lowry (1887 to 1976) is remembered for his highly individual portrayals of industrial Manchester and Salford. often painting his canvases late into the night. Unsurprisingly, he described this pursuit as 'damned hard work'. 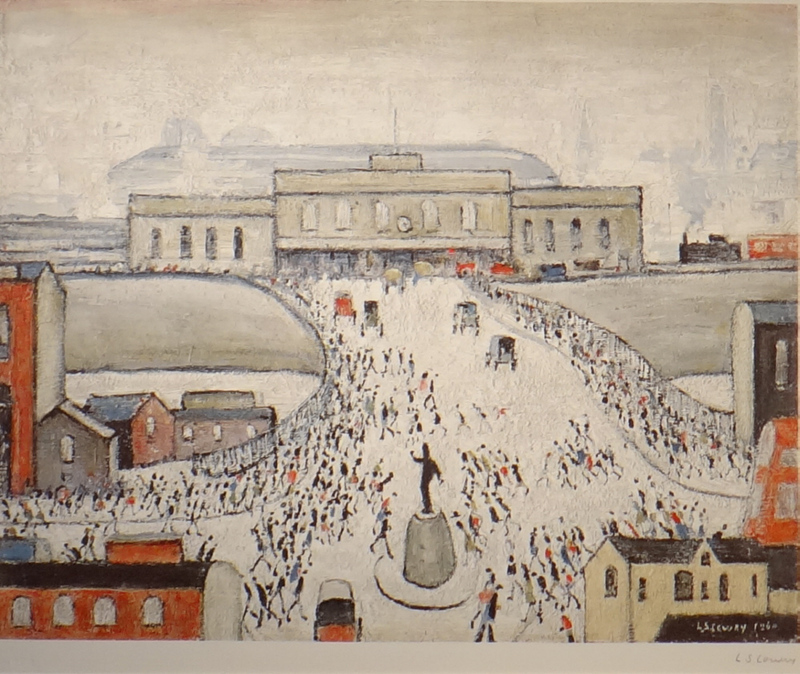 Born in Stretford, Manchester in 1887, Lowry showed an interest in drawing from an early age. In 1904 he joined an accountancy firm but attended evening classes at Manchester Municipal School of Art and later Salford School of Art. 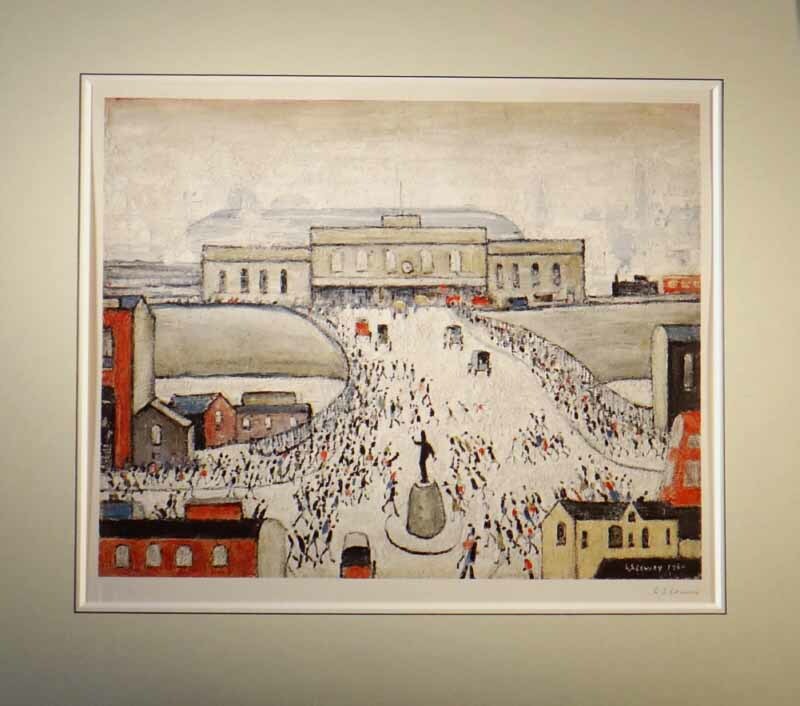 public recognition came late in life for Lowry, and it was not until he was the advanced age of 74 that he was elected a Royal Academician. of his work. He portrayed the scene in typically simple black outlines, contrasted against expanses of white and buildings painted in red, grey and ochre. The heavy sky is tinged with grey, partially obscuring the background landmarks, including the tower of Strangeways Prison on the right. the traffic. Exchange Station was built in 1884 but closed in 1969 and has since been demolished. This painting is on display at Compton Verney as part of the exhibition, Opulence and Anxiety: Landscapes from the RoyalAcademy of Arts. Lowry was not happy about the public thinking of him as an amateur artist. Lowry grew to become a rather private man - typically protesting to interviewers that he had "given up, packed it in". LSLowry died aged 88 in 1976 just months before a major exhibition of his paintings opened at the London R.A..